Always preserve and protect your marble and natural stone floors with a suitable seal! We just received a call from a very grateful client who had spilled a jar of beetroot on their newly-sealed crema marfil floor. Beetroot – that fantastic antioxidant with that fabulous deep colour – unfortunately has the potential to stain and damage anything, especially a marble, travertine or any natural stone floor or surface. 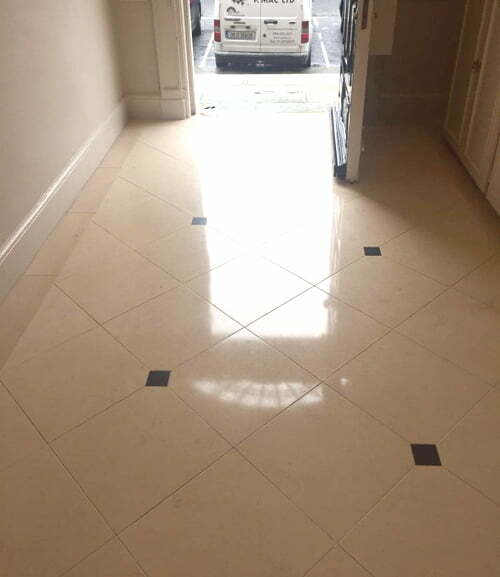 Luckily, we had very recently renewed and restored this client’s marble floor – we stripped off all the old seals, cleaned the floor and the grout and protected it again with a penetrating seal. The floor was transformed and brought back to new and the client was delighted! The penetrating seal doesn’t change the appearance of the marble or stone whatsoever, but what it does give you is time. Time to wipe up that spill before it gets a chance to seep into your stone floor or surface and cause unsightly stains, dull and dirty patches. Luckily our maintenance mantra was fresh in our client’s mind, they wiped up the beetroot spill immediately and then cleaned the area with Stone Soap diluted in warm water. Amazingly,there wasn’t a trace of the beetroot on the crema marfil floor and the shine was still intact. As was the seal. The penetrating seals we use on marble and natural stone surfaces are water-based and therefore don’t give off any odour. A penetrating seal will not alter the appearance of your floor and dries very quickly. You can walk on your newly sealed marble floor as soon as it is dry, which usually takes about 45 minutes. We would advise, however, not walking on your newly sealed floor with shoes until the following day. There are different penetrating seals available and are chosen depending on your stone type and amount of traffic. In order to preserve the beauty and shine of your marble, travertine, limestone or any natural stone floor or surface, they need to be sealed on a regular basis. Seals break down over time (faster in high traffic areas). Washing your floor too often will speed up the deterioration of your marble seal. We recommend dry mopping daily and washing with stone soap and water only once a week, finishing off with a dry buff with a white cloth to help preserve and bring up the shine. 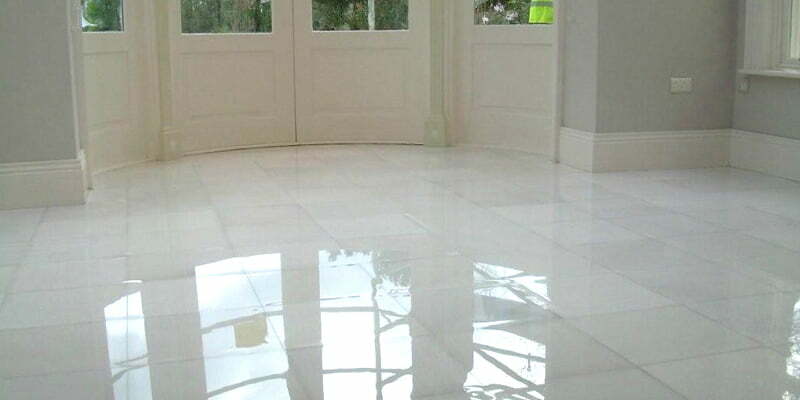 Never use any chemicals when cleaning your marble or natural stone floor, as this will dull your marble. Always use a pH neutral marble cleaner, we recommend Stone Soap – it also smells really nice! 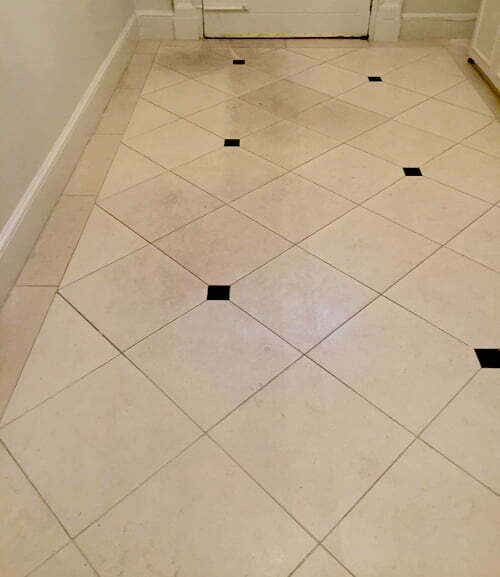 If you have a large marble or natural stone floor to maintain it may be worth your while investing in a domestic buffer. Regular buffing will help preserve and protect your floor’s natural shine and will lengthen the time you get out of your seal. Living room areas and halls may only need a high speed buff once or twice a month whereas kitchen and bathroom areas that are more prone to spills will need to be done on a more regular basis, probably once a week. The high speed buff will give your marble floor that fabulous extra shine. Marble, crema marfil, limestone, travertine and all natural stone floors and surfaces are porous, which is why they are so susceptible to spills. Limestone and travertine are more porous than other natural stones and in order to give these floors the best protection we recommend you seal with a topical seal. A topical seal is a surface-mounted seal, it will alter the appearance of your floor and give it a glossy look. It does, however, give added protection from acidic spills. The downside of course is not only the altered appearance of your natural stone, but a topical seal really needs to be renewed once a year. Again, a strict maintenance routine will preserve your sealed floor for longer.